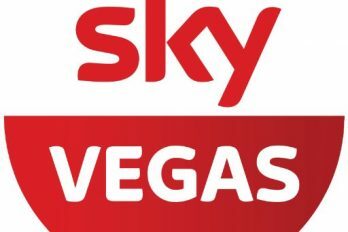 Sky Vegas was created by British broadcasting corporation BSKYB, as their contribution to the online casino industry, running alongside their successful sports bookmakers SkyBet. The casino uses a wide variety of software companies as game providers, ensuring a wide range of games for players to enjoy. Established in 2009, BSKYB brings players specialist platforms on which to enjoy their gaming. Including SkyBet and Sky Vegas, BSKYB also offers Sky Poker and Sky Bingo for connoisseurs of traditional games. Meanwhile, the recent addition of Sky Casino to their platform, which focuses on high rollers, ensures every player’s needs are catered for. All of BSKYB’s platforms are regulated by the UK Gambling Commission and as is tradition with large corporations, the casino is grounded in firm management and professional rules. Sky Vegas offers games for all players to enjoy, catering to as wide an audience as possible. The casino offers table games for traditional games lovers, with varieties of Blackjack and Roulette as well as Baccarat and Craps. Players can also enjoy slots, with many three-reel or video slots available. These are also themed with Marvel slots amongst their most popular; however, fictional slots are also abundant for non-Marvel fans. Poker players can enjoy the Sky Poker platform which runs online tournaments in addition to casual play. It is easy to switch between the platforms as Sky uses a single wallet system. A Live Casino is also available, offering live versions of Baccarat, Roulette, Blackjack and Texas Hold’em with live dealers running the games. There’s no need to download software to a computer as the casino is run entirely on flash mode, ensuring fast play. Players can also enjoy the casino via mobile and tablet devices and can play on the move. Games are provided by software leaders such as NetEnt, IGT and Orbis Tech guaranteeing that players receive the highest quality of games available in addition to relevant upgrades and state-of-the-art technology. New Sky Vegas players are well looked after, with a Welcome Bonus of up to 200% of their first deposit of up to £1,000. Players can also obtain £10 free just for signing up. Players don’t have to place a deposit to receive this bonus. Encouraging its members to play more, Sky Vegas offers a loyalty program, extending points based on playtime. Once enough points have been accumulated, points can be exchanged for money and are deposited into players’ accounts. Alongside the loyalty program and the welcome bonus, a range of promotions are on offer via the website’s ‘Promotions’ page, including weekly and monthly bonuses specific to games with rewards including holidays and electronic items. Sky Vegas ensures players’ details remain protected at all times. Their server is protected using an industry-standard SSL encryption, meaning that personal and financial details are protected with a firewall once disclosed with the casino. Sky Vegas also regularly audits their games and publishes the results on the ‘Help Centre’ tab on their website, ensuring maximum transparency between the website and players. Deposit methods are slightly limited in comparison to other casinos, as players can only deposit via MasterCard, Visa, Maestro and Paypal. However, the single wallet system previously mentioned means that players only require one account on the casino and can transfer funds across the platforms freely and easily. Customer satisfaction is at the forefront across all of Sky’s platforms. Sky Vegas help can be accessed 24/7 through live chat, which is fast becoming the most popular way for players to communicate with casinos. Players can also email enquiries as well as phone up and speak to customer service directly. The Help Section includes a series of FAQs which highlight players’ most popular concerns.